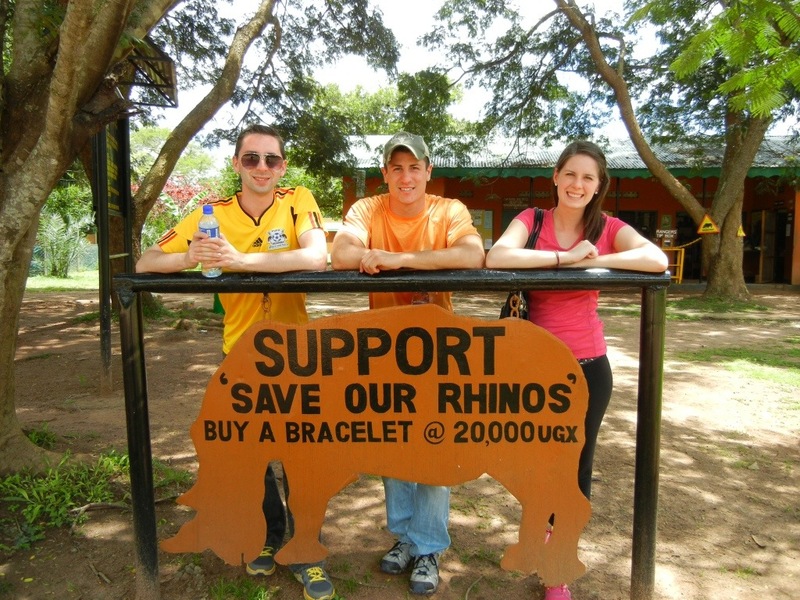 Today we went on an adventure to trek into the wilds to see White Rhinos, at Ziwa Rhino Sanctuary. 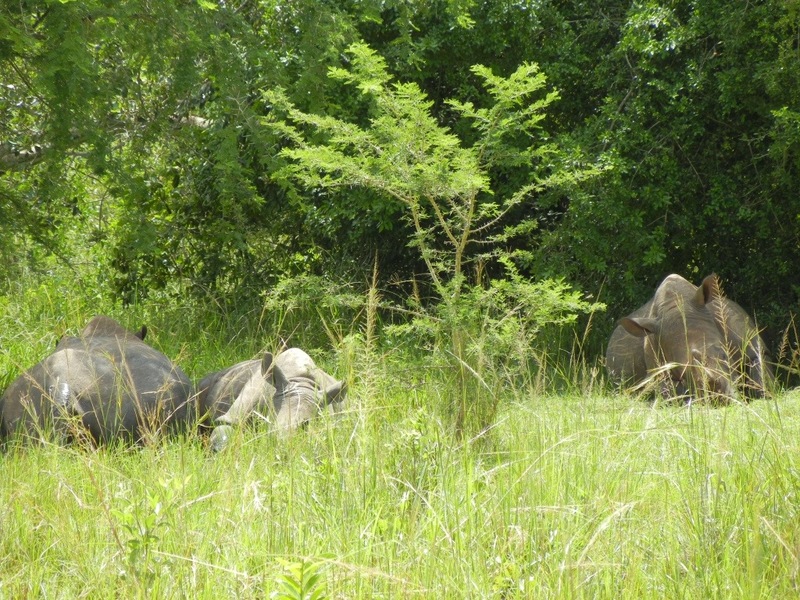 Actually, today the trekking was quite easy since the rhinos had decided to rest in the shade pretty close to the safari trail. 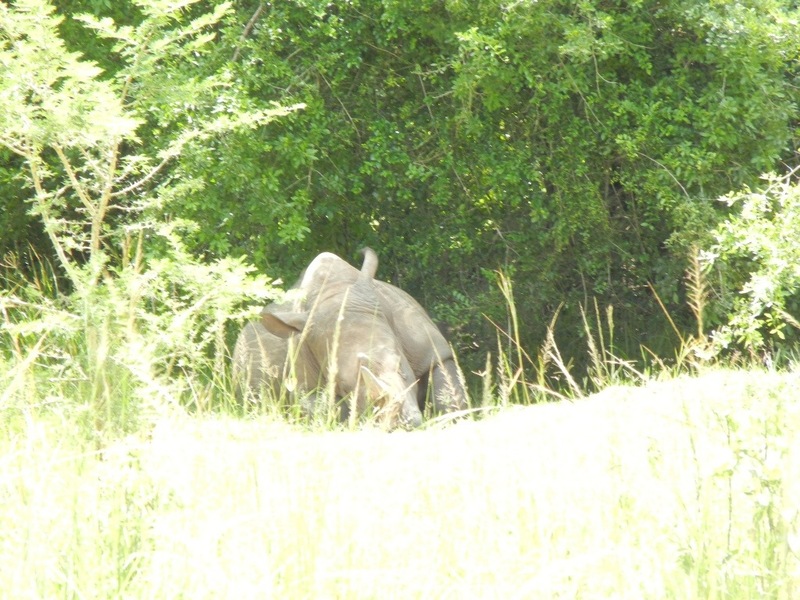 And we really did see Obama- he is the first rhino born in captivity at the center and so named because his mother is from the USA (a gift from Disney in Florida) and his father is from Kenya. The picture below is Obama. 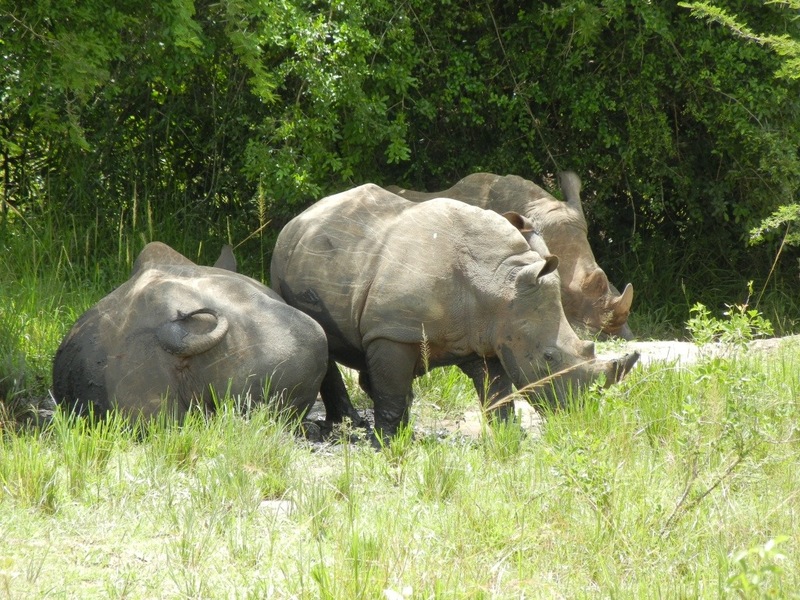 The rhinos are gray, as you can see, but they are called “white” because their mouths are “wide” and a long time ago the translation was messed up and they became called the “white rhino”. 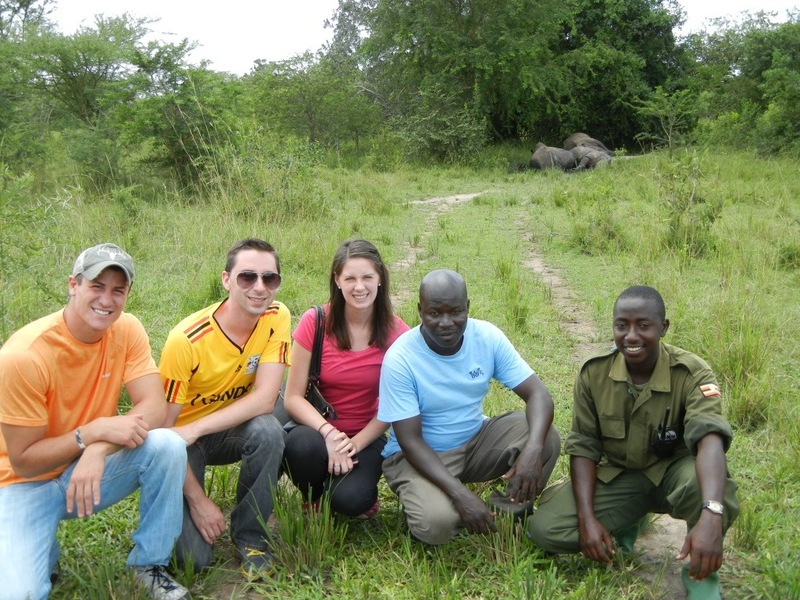 In the picture above, the guy in the blue shirt is our wonderful driver, Sam. Check out the rhino video below. 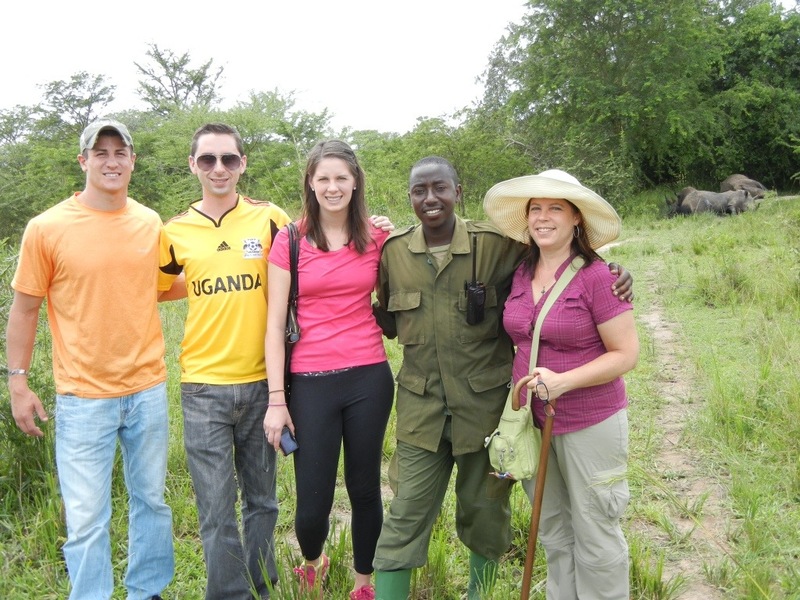 This entry was posted in My Safari (My Journey/Adventure) and tagged D'Youville College, Pharmacy Students, Rhino Trekking, Uganda, white rhinos, Wilkes University, Ziwa Rhino Sanctuary. Bookmark the permalink. What an experience. The video is great! Thanks for the post. 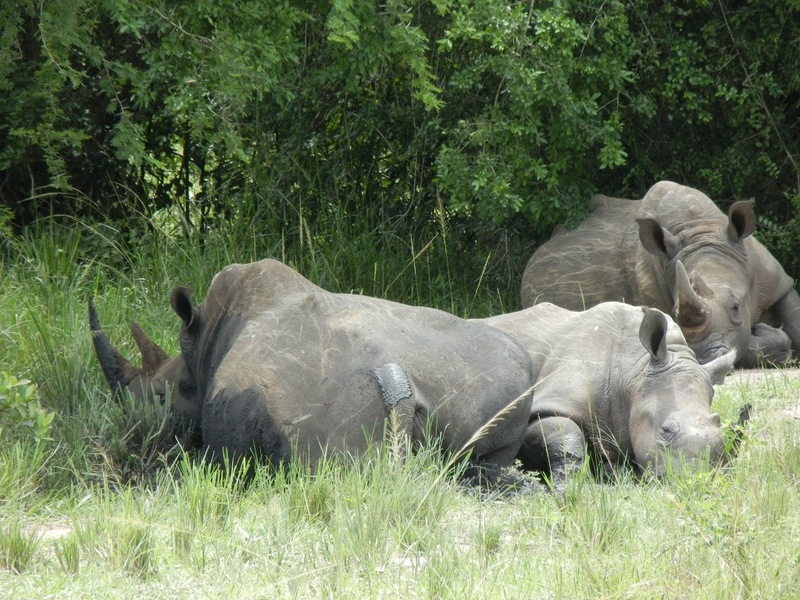 I can’t believe how close you are to the Rhino’s. Amazing pictures. You all look fantastic. Can’t wait to you guys are home. Thanks for all of the updates. White vs wide! Very interesting. Great photos.